Home / Blog / Has Drink Driving Increased In The Past 10 Years In The UK? Road accidents seem to be on a rising spree in the UK roads lately. While rash driving is a major concern here yet according to reports, a fair share of road crashes is the inevitable result of drink driving. If you follow the market studies, there has been an alarming rise of around 17% in the drunk-driving crashes over the past 10 years in the UK. In simple words, 1 in 6 road deaths a year is due to the result of driving under influence (read alcohol). Needless to mention, the situation becomes even worse in festive times such as Christmas or New Year bashes. It’s grand to be in high spirits but definitely not at the cost of innocent lives on road. The drink driving BAC limit in the UK is 80 mg per 100 ml of blood. The striking part is that all other European nations have opted for a much lower limit while England & Wales are stuck to their age-old norms. Why driving while being drunk is unsafe? It’s always unsafe to drive while one is drunk. Alcohol influences reaction times, vision & coordination which in turn makes drink driving truly risky. When you are in your high spirits, it would take you longer to reciprocate to hazards and avoid road accidents that could have been avoided otherwise. This way drink driving lowers your chances of hitting the brakes bang on time when , say, a cat or passerby is running in front. The time taken between assuming a possible collision and finally hitting the brake is called the “thinking time”- even if it differs by just a few seconds while you are under influence compared to when you are sober- could mean the sky-high difference of life and death for somebody else. Besides, drink driving makes one underestimate the speed & distance of vehicles on road. Your vision would be affected which will further slower down the reaction time. Moreover, drivers in high spirits are also prone to a more reckless driving which in turn heightens the chances of accidents on road. What many don’t understand that drink driving would even put the driver’s life in jeopardy. According to government surveys, more than 5,000 drivers fail in breath tests in between 6 in the morning & midday. It will take your body at least 1 hour to crash down 1 unit alcohol- which implies if you have gulped down 4 large beer pints or 4 big wine glasses- the body would take a longer 12 hours to clear the influence from your body. 20X for drivers under .15 BAC. Thus, you see there is a strong relation between the allowed BAC limit for drivers and the threats of road accident- with UK’s age-old drink driving laws permitting a higher limit, collision, injury & casualty risks are even bigger considered to other European countries. 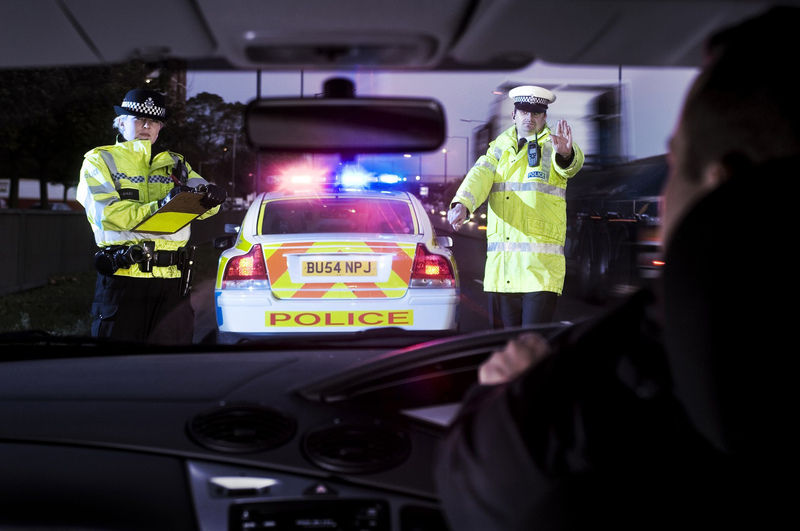 Debates have been raised on whether UK should consider a lower BAC limit following the lead of Scotland which has shown positive results in drink driving related accidents after a lower limit has been introduced. The Scot government has already reduced the BAC limit from 80 to 50 mg which led to a good 12.5 percent decrease in drink-driving offenses post 2014 December compared to years with higher limit. Studies have shown that drivers would be less prone to drink driving risks if there are chances of being stopped by the police. People who whimsically violate the drunken driving laws are governed by this perception that there would be fewer police & fewer checks on road. Thus, the experts are suggesting setting up more checkposts and more alert police officers so that the reckless drivers are compelled to think twice- while driving under influence. Random BAC checks by the police might also help to curb down the drink driving habits and consequent collisions on road. If police is given powers to halt the drivers randomly for surprise checks- and not just when it’s a faulty car or erratic driving- drivers would stay more alarmed- and think twice before driving under high spirits. The threat of being caught by surprise is an intelligent tactic to stop an ill habit. One has to work towards closing the loopholes of law to prevent such unethical & hazardous measures. No positive result is possible if the people involved in the crime are not aware or sensitized about the consequent hazards. The fear of risk while driving under influence has to come from within. The drivers have to be made aware that their “don’t-care” drunken driving attitude can hammer a heavy blow to someone else’s family and might even put their own families to stress. Mass sensitization campaigns can play a strong role here and those should be organized through several channels, on a recurring basis. Apart from advertising through radio or print media or TV channels, the social media portals must be targeted as well. Anti drink driving campaigns can be launched in school and colleges too as teens are at a higher edge of driving under influence. Shocking incidents pointing out the ill results of reckless drunken driving must be included in the Anti drink driving campaigns & advertisements. The shock therapy works as a big jolt to the nerves, awakening them with a needed shudder. It would be great if the UK government finally agrees to lower down the BAC limit for driving as lower limits show proven results of reduced drunken driving accidents on road. But more than that, the safety checks on road must be made more stringent and random so that the reckless drivers are bound to fear the threat of arrest & penalty while taking the steering under influence. Finally, there is no alternative to a passionate mass sensitization on anti drunken driving.